Ignition, Bovada, and Bodog have started to accept deposits in the crypto-currency Bitcoin Cash (BCH). These three poker rooms are PaiWangLuo Network partners, so they all share the same poker tables although some of their promotional deals are different. Bitcoin Cash is the fourth-largest crypto coin by market capitalization with the total value of all BCH in existence amounting to $5.6 billion according to coinmarketcap.com. While the three sites are working hard to allow customers to fund their accounts with BCH within the normal poker and website interfaces, this isn't possible just yet. Instead, you have to speak to support over the phone between Monday and Friday, 9:00 a.m. - 5:30 p.m. EST. Customer service will give you all the details required to make your deposit, including an exchange rate. This exchange rate will only be valid for 30 minutes, so the deposit will have to be completed within this timeframe. In the event that you do not send the right amount of coins within half an hour, your deposit will be rejected, and any Bitcoin Cash you had sent over will be returned back to your wallet. In either case, you'll receive a message informing you of the success or failure of your deposit. None of the PaiWangLuo member organizations spread poker games that use BCH at the tables, and all user accounts are denominated in USD. Therefore, any Bitcoin Cash that you deposit will be transformed into U.S. dollars at the rate used for your deposit. You'll proceed to play for dollars, just as you would with a traditional fiat currency deposit. Bitcoin Cash withdrawals are not currently available, but if they are added to the system – very likely at some point – the same process will take place in reverse with your dollars being converted into BCH and sent to the address you specify. Bitcoin Cash wasn't a digital currency that started from scratch as so many others have done. Rather, it was created during the Aug. 1 hardfork of Bitcoin (BTC). There were disagreements about how to scale Bitcoin to deal with growing network traffic, and a splinter group decided to create a new form of crypto money, which it called Bitcoin Cash. Bitcoin Cash has a larger block size than regular Bitcoin – 8 MB versus 1 MB – so each block can contain more transactions than with old-school BTC. On the other hand, Bitcoin Cash doesn't support Segregated Witness technology, which is viewed by many as the way forward for blockchain currencies. The price of Bitcoin Cash is around $335 per coin at the time of this writing. Bitcoin Cash inherited the blockchain ledger from Bitcoin, and all transactions before the split were carried over to the new coin. This means that everyone who had any amount of Bitcoin at that time was also credited with an identical sum of Bitcoin Cash. However, the process of accessing this newly minted BCH isn't exactly straightforward. Fortunately, there are any number of guides describing how to do so, including this one from Bitcoin Magazine. The most important thing, as far as retrieving Bitcoin Cash generated during the fork, is to have retained control of your Bitcoin private keys. Although some firms that manage users' private keys, like SwCPoker and the Coinbase exchange, opted to do all the legwork and credit account holders with their full BCH balances, other entities did not do so, and so their customers are completely out of luck and unable to get at the BCH coins that they legitimately possess. Bodog, Bovada, and Ignition have already supported BTC deposits since early 2016, so it's reasonable for them to add another crypto-currency to the mix now. Some question why they should select Bitcoin Cash as the next one though. The answer may lie in Bodog founder Calvin Ayre's fondness for this coin. Ever since he was appointed Antiguan economic envoy, the philanthropic billionaire has been a strong advocate for BCH. Ayre, and other like-minded individuals, feel that this crypto coin captures the heart of what Bitcoin is all about. They are suspicious of the Segregated Witness algorithms being explored by legacy Bitcoin developers and view them as tarnishing the principles behind digital currency. Indeed, Ayre expects Bitcoin Cash to supplant the entity now known as Bitcoin and claim its crown as “the” Bitcoin. …it is the position of this website that Bitcoin Cash is the version of Bitcoin that most closely adheres to the original design. The position that Bitcoin Cash is Bitcoin is based on its adherence to the design goals and intended purpose that Bitcoin was created to fulfill. 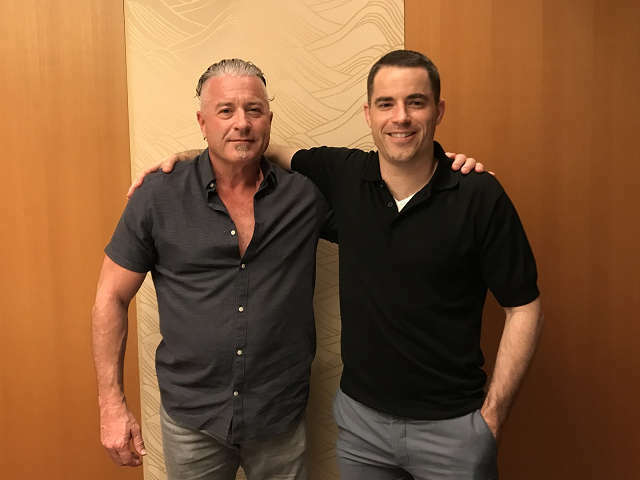 Someone else who feels the same way as Ayre is renowned Bitcoin early adopter Roger Ver. He's so enthusiastic about crypto money that he has been called “Bitcoin Jesus.” Ver has many controversial ideas about what he sees as the road ahead for Bitcoin, including wholehearted support for Bitcoin Cash as the legitimate Bitcoin blockchain. In September, he even offered to bet $1 million that Bitcoin Cash will still be alive in two years. Given the similarity of their viewpoints, it's no surprise that Ver and Ayre have become fast friends. Calvin Ayre's feelings about Bitcoin Cash may be a leading reason for its endorsement by Bodog, Bovada, and Ignition. While he retired from actively managing his gaming brands about a decade ago, he undoubtedly exercises considerable pull behind the scenes. Ignition and Bodog are our recommended poker rooms on the PWL Network. Ignition welcomes Americans with a 100% up to $1,000 bonus for poker and another 100% up to $1,000 for casino games. Australians can also sign up at Ignition, and their poker bonus jumps to a maximum of $1,350. Consult our Ignition Casino Poker review for all the details. Those living in Canada or one of several Latin American countries would do well to register at Bodog, which also provides a 100% up to $1,000 poker bonus for newcomers along with a $600 match for casino games. Read our thorough Bodog Poker review page to find out more. Bovada conducts business in the United States, Mexico, Brazil, and several other areas, and it offers a 100% up to $500 bonus. Read more about it in our review of Bovada Poker.